There is growing demand from consumers for sustainable alternatives to plastic disposables. 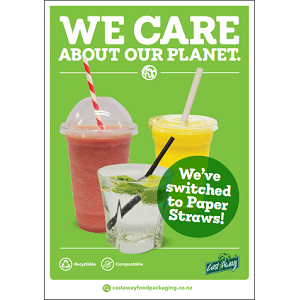 More businesses such as cafes, restaurants, fast food and hotels chains have already taken action by eliminating plastic straws as part of an effort to reduce their environmental impact. 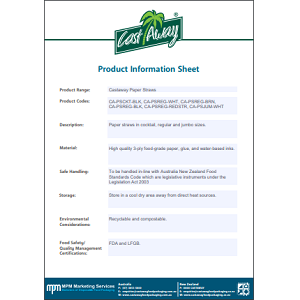 To satisfy this increasing demand, Castaway® has introduced a range of paper straws. 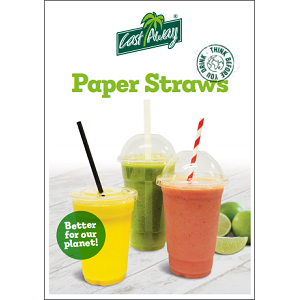 Castaway® paper straws are made from 3-ply premium food-grade paper and come in various shapes and colours. 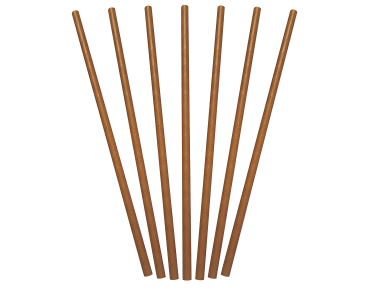 These straws are suitable for cold use, and are recyclable and compostable. They’re perfect for serving customers that are looking for ‘on-the-go’ drinking convenience! *Price is indicative only and excludes GST. 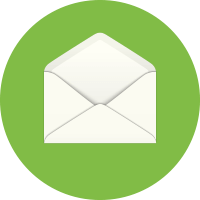 Actual price will be confirmed by MPM Marketing Services or your chosen Castaway Distributor. Additional freight charges may apply.